The top tier of Spanish football gets under way on Saturday 18 and Sunday August 19, with defending champions Barcelona facing a home test with Alaves while Real Madrid will play host to city rivals Getafe. As the La Liga fixtures for the new 2018/19 season were announced this afternoon. However, the clash of the opening weekend is at the Mestalla, with Valencia go up against Atletico Madrid. The first El Clasico of the new season takes place on Sunday October 28 as Barcelona face Los Blancos at the Camp Nou. 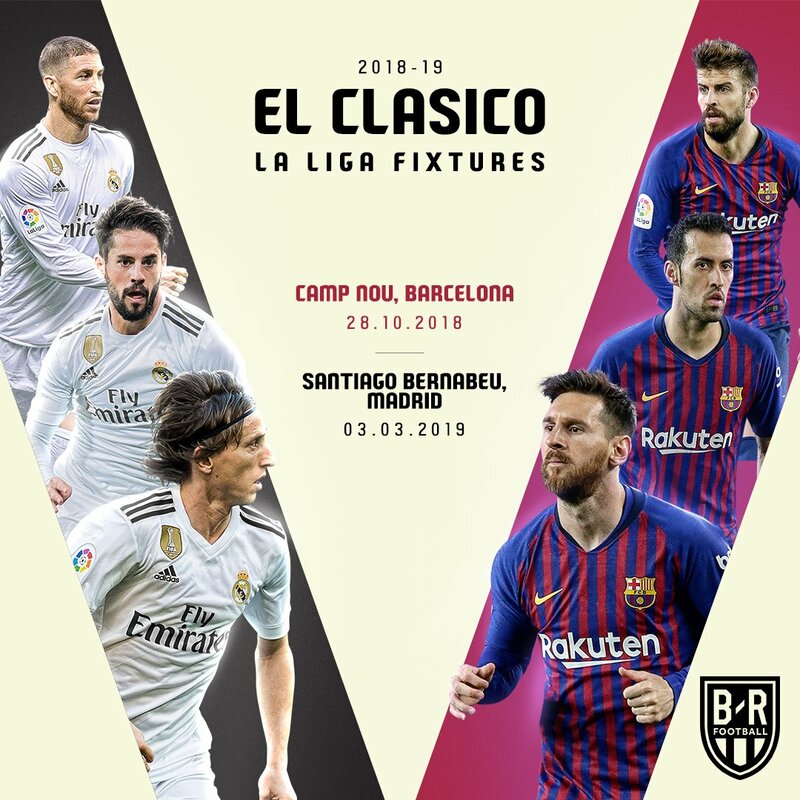 The return fixture is on Sunday March 3, 2019 at the Bernabeu.